Sleeping with the staff wasn’t part of the plan. Sensible, capable, and ruthlessly efficient, Hannah Kabbah is the perfect nanny… until a colossal mistake destroys her career and shatters her reputation. These days, no-one in town will hire her—except Nathaniel Davis, a brooding widower with a smile like sin and two kids he can’t handle. Prim and proper Hannah is supposed to make Nate’s life easier, but the more time he spends around his live-in nanny, the more she makes things… hard. 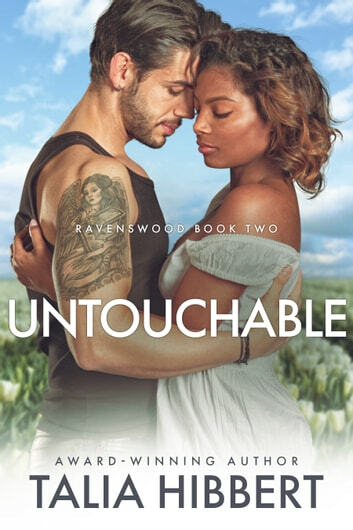 He can’t take advantage of her vulnerable position, but he can’t deny the truth, either: with every look, every smile, every midnight meeting, Nate’s untouchable employee is stealing his heart. The trouble is, she doesn’t want to keep it. Forbidden love isn’t high on Hannah’s to-do list, and trust isn’t one of her strengths. When dark secrets threaten to destroy their bond, Nate’s forced to start playing dirty. Because this reformed bad boy will break every rule to finally claim his woman. Please be aware: this book contains discussions of depression and anxiety that could potentially trigger certain audiences.